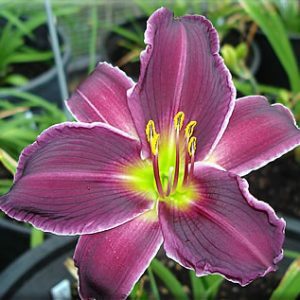 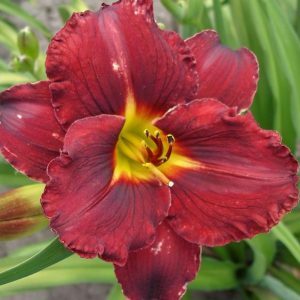 Categories: Rebloom, Purple, Violet, Dormant, Early Mid-Season Bloom, Eye, Medium height - 20-36 in. 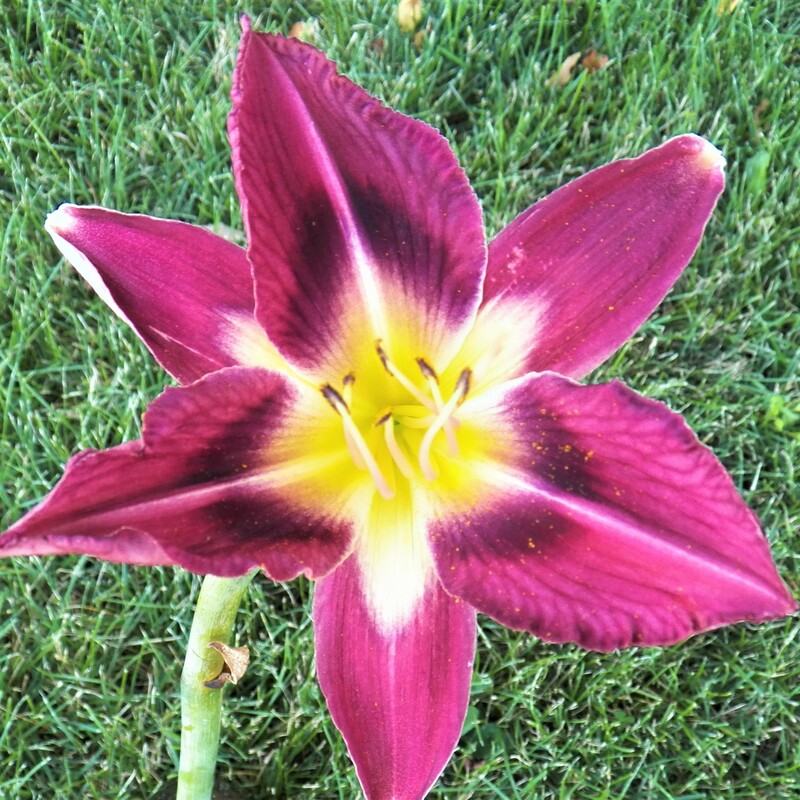 Red purple blend, darker eye, light midribs, yellow throat, sepals have near white throat. 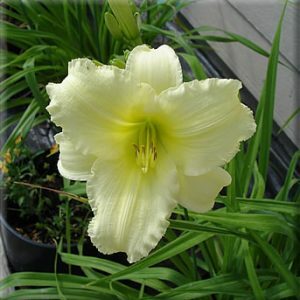 Product inCream ,Near White ,Dormant ,Early-Season Bloom ,Medium height - 20-36 in.